The development of Marcin Antique was not a continuous process. It proceeded in several stages, each producing different iterations of the typeface until it reached its final, published form. Every successive stage gave me the opportunity to revisit previous versions and to experiment with the letterforms. Going back and forth helped me decide which shapes — to me — would best represent the various sources I was using as a basis. Fig 1. 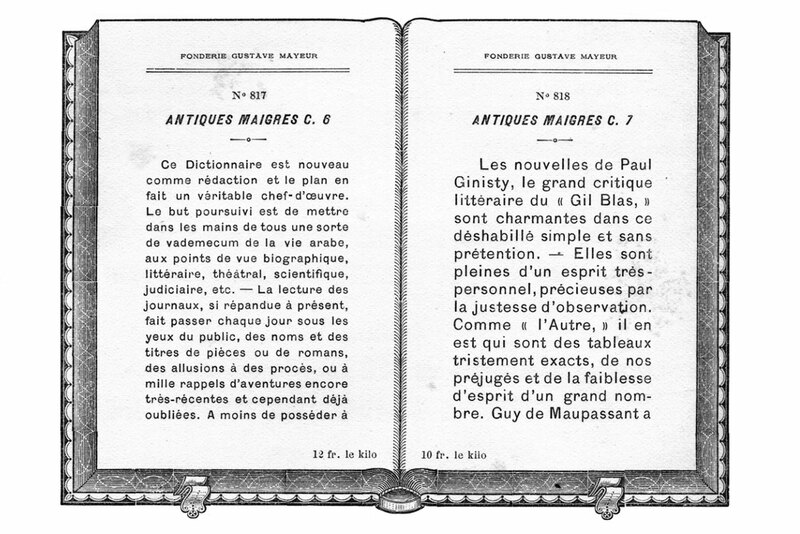 Reproduction of one of the many antiques presented in Mayeur’s specimen which served as an inspiration for Marcin Antique’s lowercase in the lighter weights, except for the fancier f, j, r, t, and y. For the skeleton of the lighter weights, I chose to follow the proportions of the relatively light lowercase found in a piece of small text (fig. 1). It featured the original, idiosyncratic shapes for f, j, t, and y. While they looked fine in the lighter weights, those letters started to become fuzzy as the weight increased. To avoid problems, I replaced them with more conventional designs when drawing the bolder end of the spectrum. 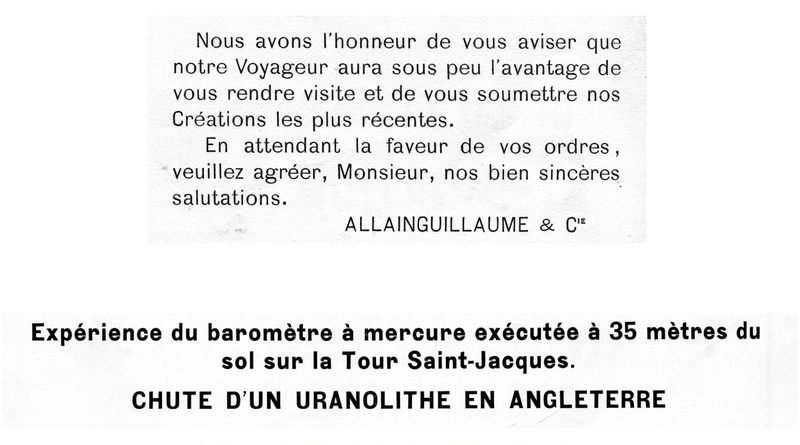 The original forms remained available as stylistic alternates. The Light and Heavy weights from an earlier version featuring those original forms as alternates. As the fonts went into final production and I started working on the specimens, I still wasn’t entirely satisfied with this solution; I felt that anything heavier (and including) the regular weight didn’t work as well as the light weights. This realisation forced me to take a step back and pick up an earlier idea, creating a different set of alternates that would effectively enrich the design rather than being a mere reference to the source material. Marcin Antique strikes a nice middle ground. The typeface looks less polished than most neo-grotesques, yet doesn’t over-emphasise the quirks of its vintage source material. Marcin features only a minute modulation in contrast. The slight difference between thick and thin makes the typeface look more lively on the page and the screen. Another noticeable feature is the generous x-height which creates rounder forms for o, c, e, b, d and related characters. The widths of both uppercase and lowercase characters display some unusual relationships, such as a C that is wider than the G, or a c that is wider than the e. All these traits combined make for an airy and lively type family that is pleasant to read, and works well in both display and text use. Marcin Antique is available in eight weights from Thin to Super with matching italics. While the weights up to Heavy have normal proportions, Super is noticeably wider for increased impact. The italics are sloped romans rather than stylistically true italics; true italics being based on scribal forms. The 16-degree slope of the italics is greater than one would usually see, and contributes to the italics’ striking appearance. In order to compensate for the darker color of the sloped forms, the italics’ weights are mathematically lighter than their roman counterparts. Marcin and Marcin Typewriter share the same set of stylistic glyphs which can dramatically change the rhythm and feel of text set in the types. Stylistic Set 1 provides a tail-less a and unicameral — aka “schoolbook” — g. Stylistic Set 2 replaces the “Helvetica-ish” default R with a straight leg variant more akin to Franklin Gothic. Stylistic Set 3 replaces the default Qs “external tilde” tail with a “tilde-through” tail. In the italics, Stylistic Set 1 also turns the standard a into a schoolbook form, making the slanted design look more like a ‘true’ italic. Marcin Antique is available in eight weights from Thin to Super with matching italics, stylistic alternates and extensive language support. 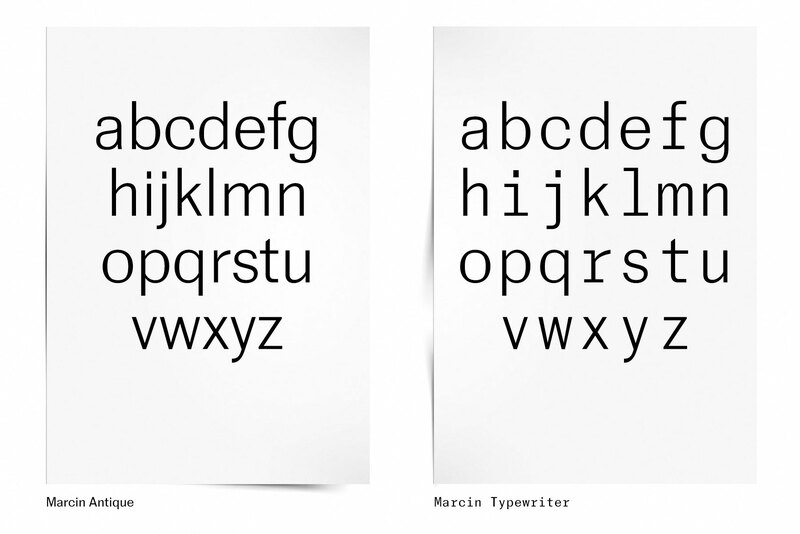 Marcin Typewriter, a monospaced font, is the companion to Marcin Antique. 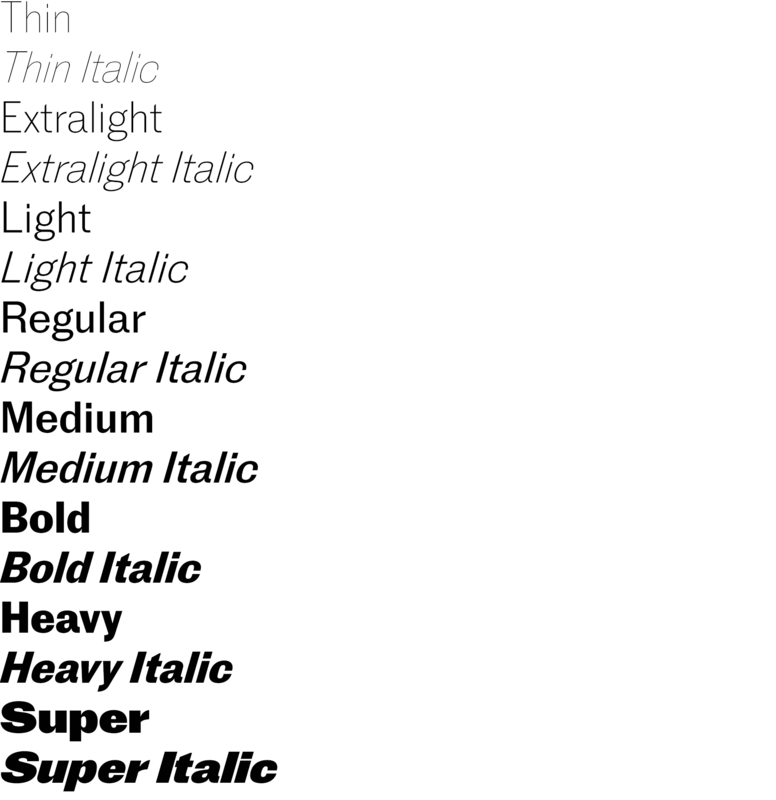 It is available in six weights from Light to Super. We would like to thank Ramiro Espinosa, Ben Kiel, and Joana Correia for their help during the development and production process, and hope you enjoy using Marcin Antique as much as we enjoyed designing it.